Say I have some image files (for instance, the result of scanning some sheets) and I want to combine them into a single pdf file, each image on a different page. Is there a faster / more convenient way than converting each one to a pdf file and then combining those (say, as explained here)? Or, if this is more or less how it is to be done, which is the most intelligent and less tedious possible way to do it? 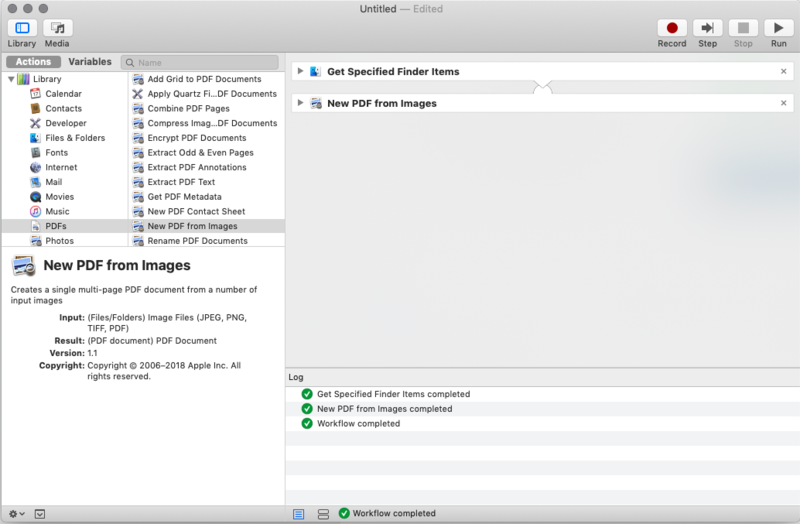 Here are the steps to save multiple images in Preview into a single multi-page PDF. Then from the "File" menu choose "Print Selected Images" (or "Print..." in recent OS X versions) and then "PDF > Save as PDF"
files 1 through n can be any image or pdf file. Open Preview, make sure the Drawer is open and Drag the Image in underneath the Page Thumbnail. Under Actions, Library, Files & Folders add the Get Specified Finder Items as a step. On the bottom of that step click on Add and select the images. Configure the step to your desire specifying among other things the location and name for the PDF file. 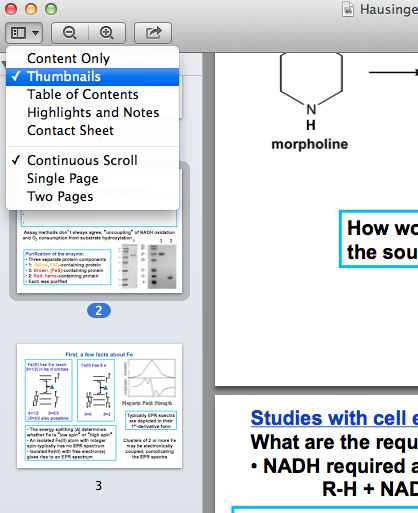 In the Results tab of the New PDF from Images you now have your newly created PDF. Not the answer you're looking for? Browse other questions tagged pdf graphics merge . Can I efficiently make a pdf out of 10 jpeg images?